Royal Rugrats: Royal Rugrats Play Food Spotted! 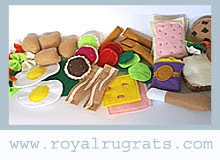 Royal Rugrats Play Food Spotted! I spotted Royal Rugrats on some great blogs and sites and wanted to say a big thanks to the bloggers and ETSY artists! 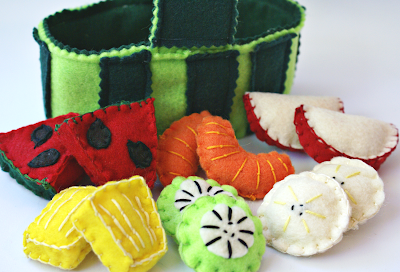 Growing a Green Family wrote an article titled Amazing Eco-Friendly Felt Food Fun for Kids. She was so kind to include my fruits and veggies from the Royal Rugrats Summer 2010 Collection. You have to take a look at some of the other felt food designers I am always in awe of what people can do...did you see that cake!? The article also includes very informative links on different kinds of felts so you can learn even more about this craft. 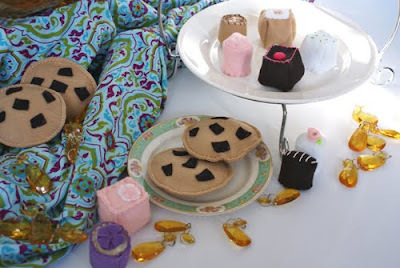 MommieVentures's Blog wrote all about some of my favorite yummies. You can view her fun blog and find giveaways and other great picks for parents there! I always appreciate other Moms who take the time to help small businesses and also provide useful tips and links which you will find here. 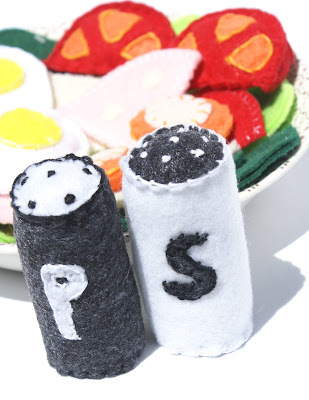 Etsy Artisan nezoshop was so kind as to put my Salt and Pepper shaker set in the etsy treasury Party at the Picnic with some other wonderful designers. Stop by her shop as well she designs gorgeous organza flowers that would be perfect for so many DIY designs.